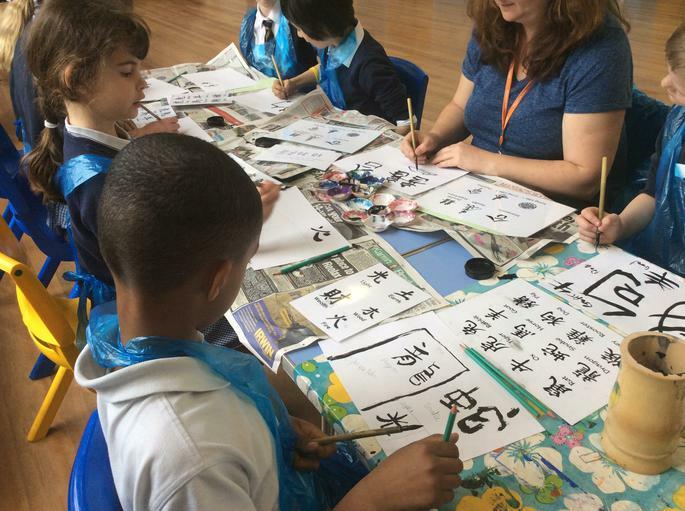 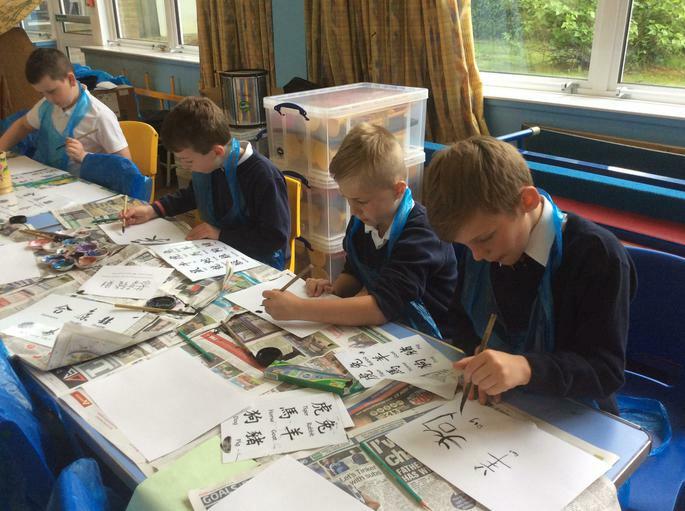 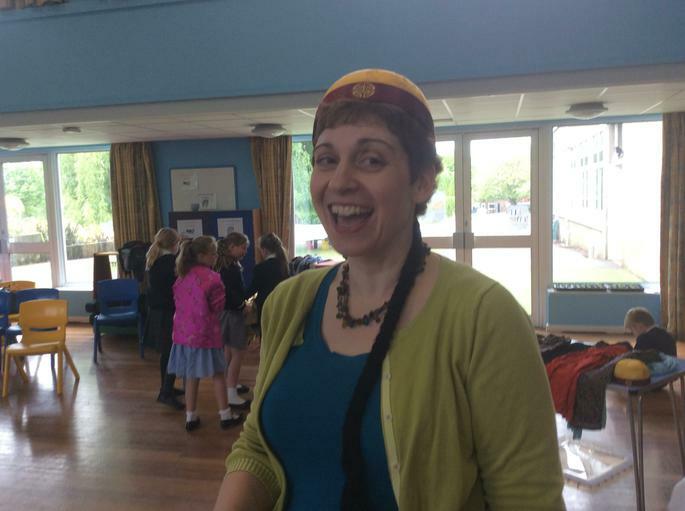 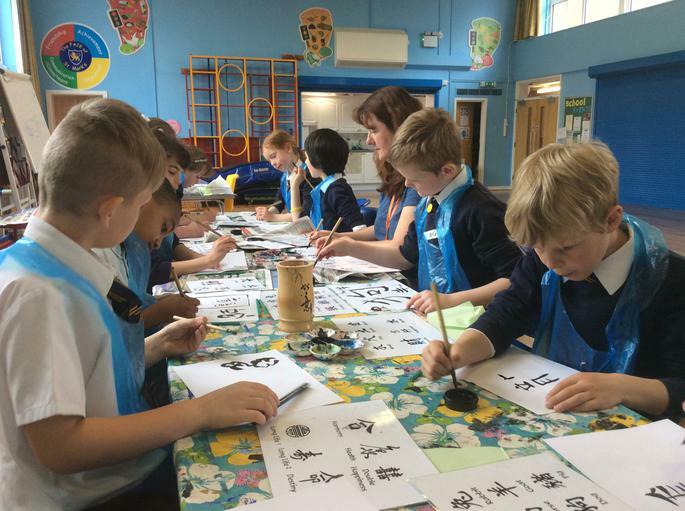 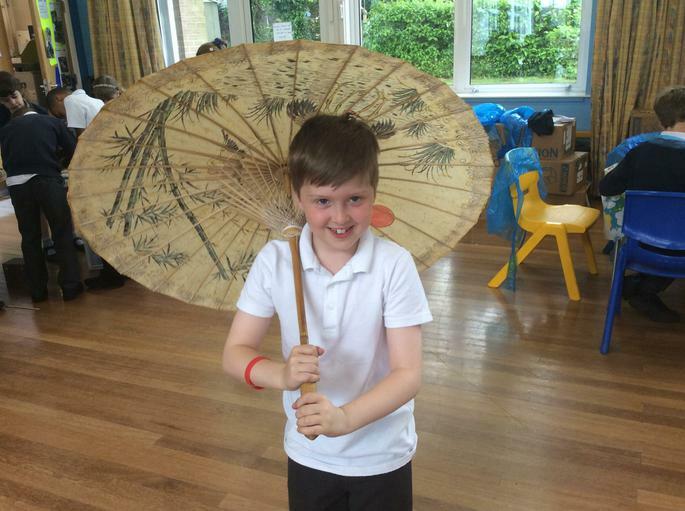 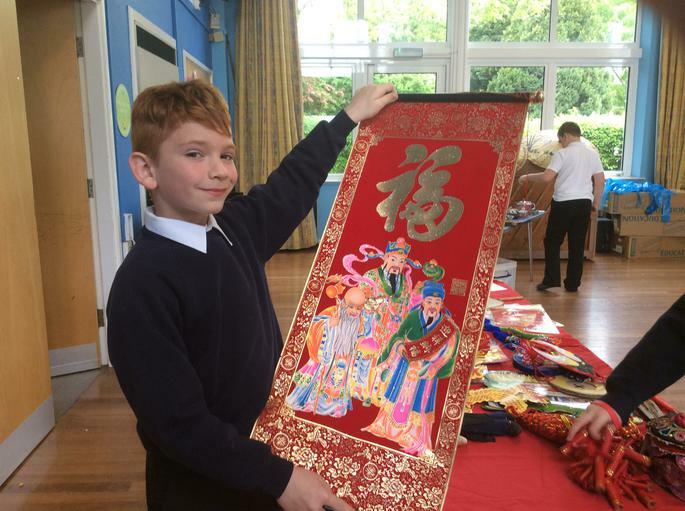 Year 4 have been doing a Chinese workshop today. 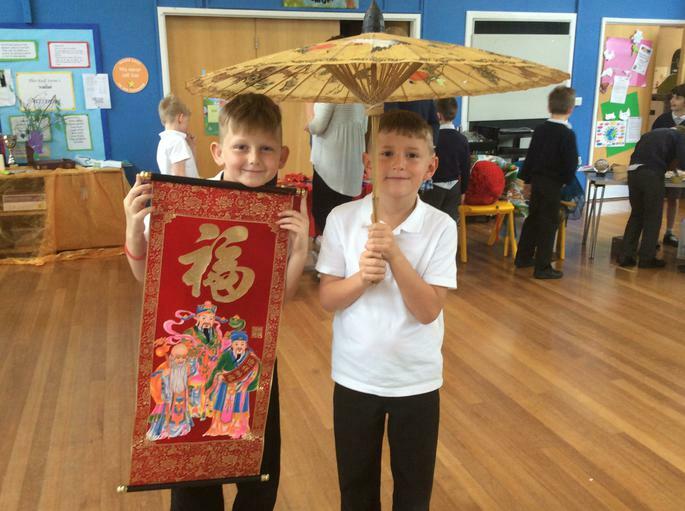 They have been learning about various aspects of traditional chinese culture. 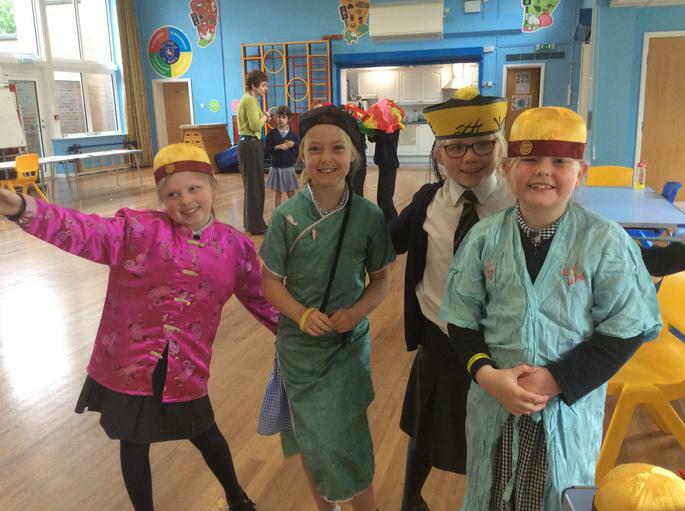 They have been looking at clothing, food, dance, art, writing and music. 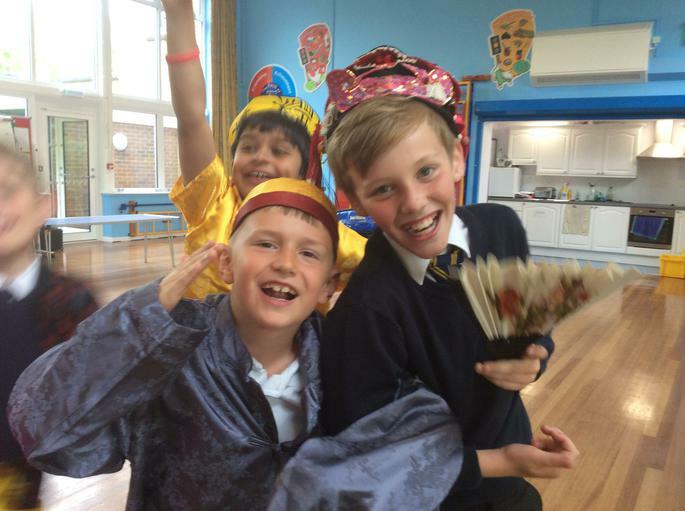 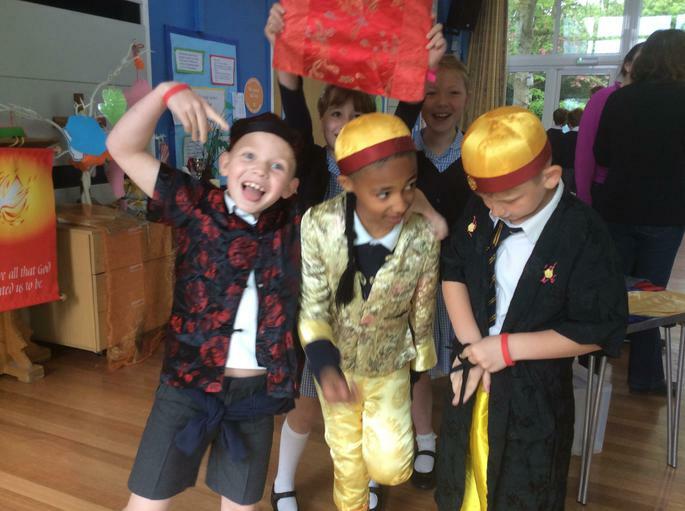 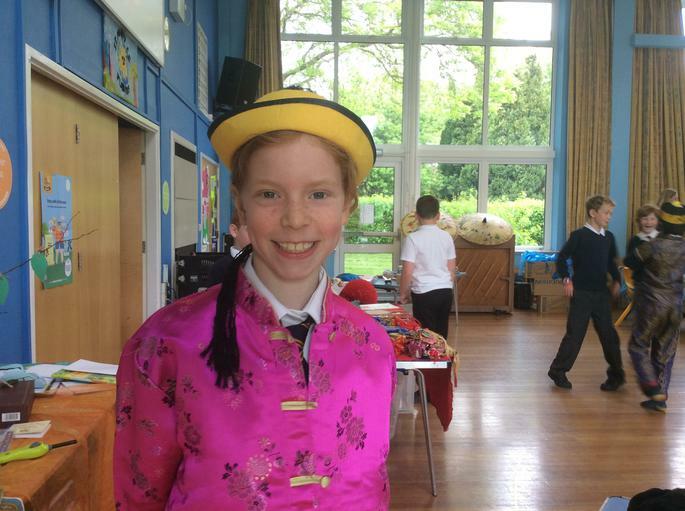 Dylan (class 5) enjoyed trying on the chinese clothes, he said: "They were unique with bright colours - mostly red and gold which they say is good luck. 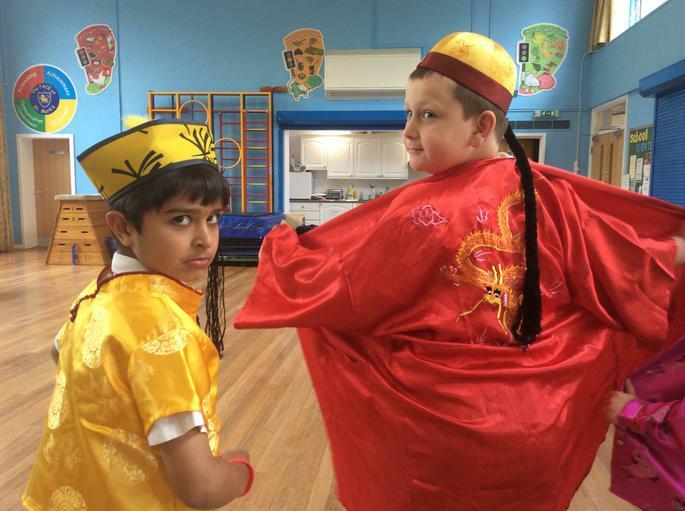 They were made of silk. 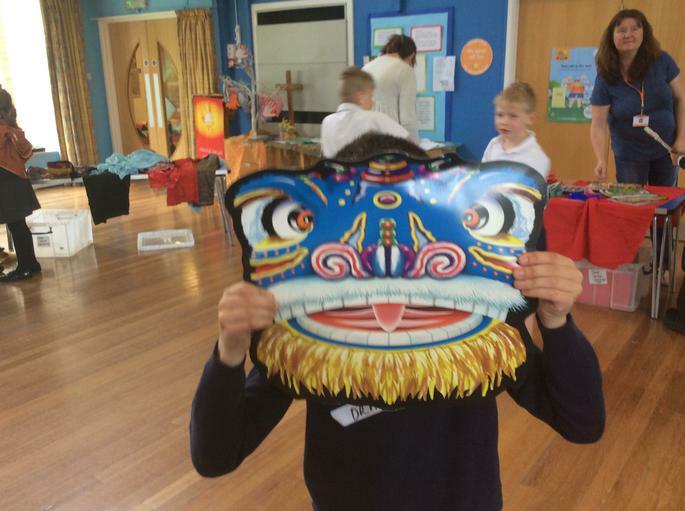 I liked them, I liked the pictures of dragons and stars on them." 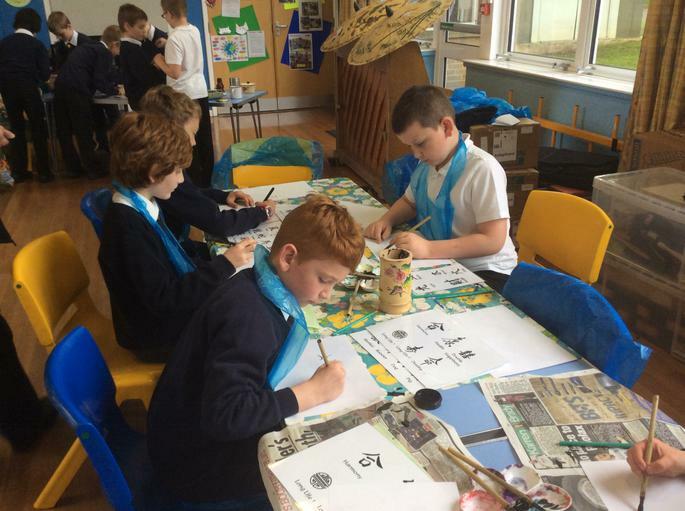 Charlie (class 5) said: "My favourite bit was doing the art and writing. 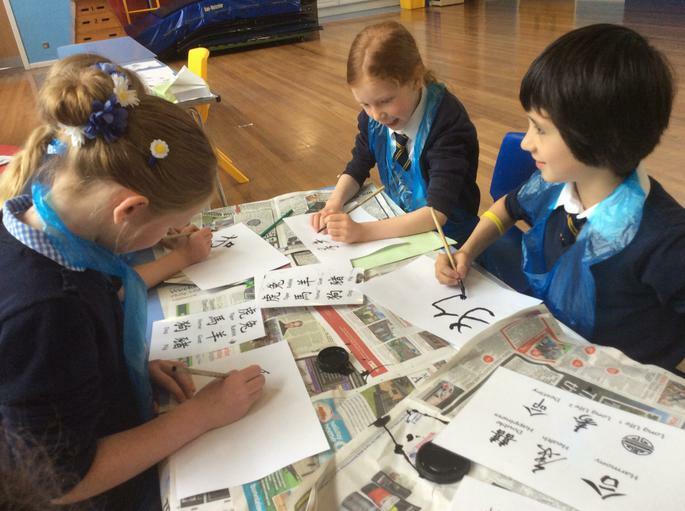 We had a look at symbols - we had a go at painting them. 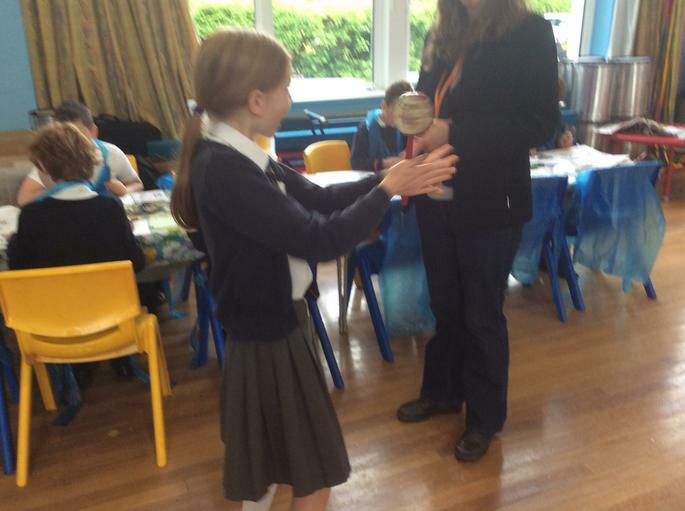 My favourite symbol was light. " 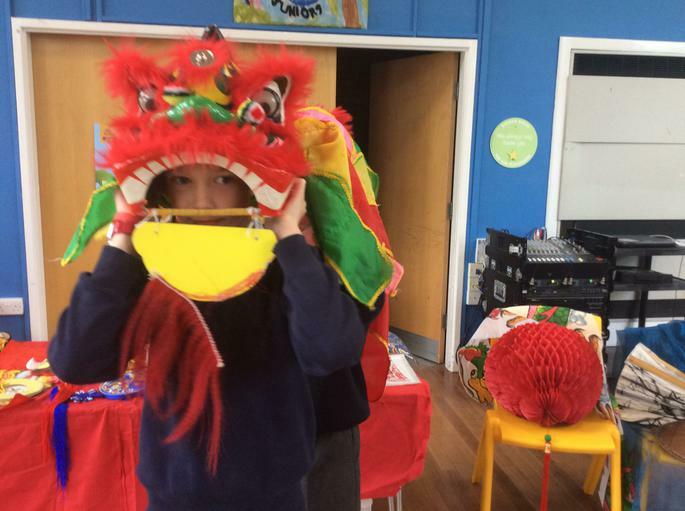 Dylan : "I liked the dragon - it was like a costume that more than one person could get into. 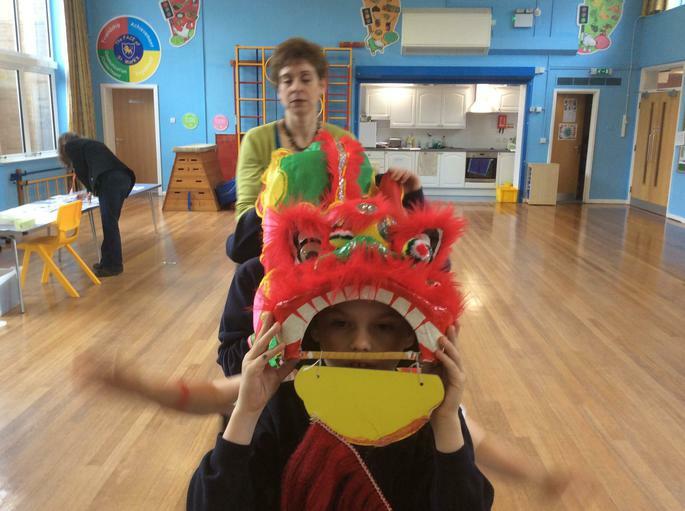 The dragon colours are so exotic and the dragon had a special dance. 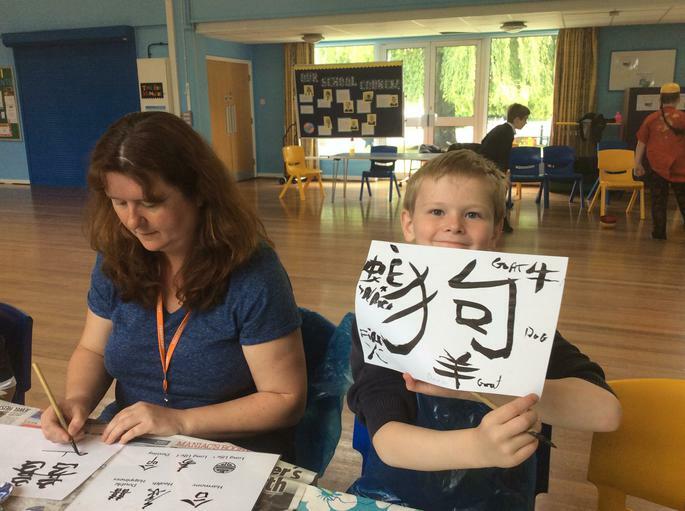 We also had a go at plate painting. 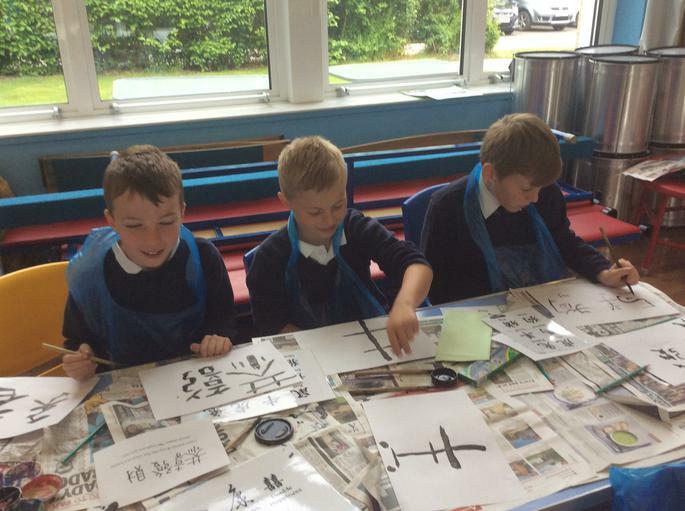 The paintings on the plates told a story." 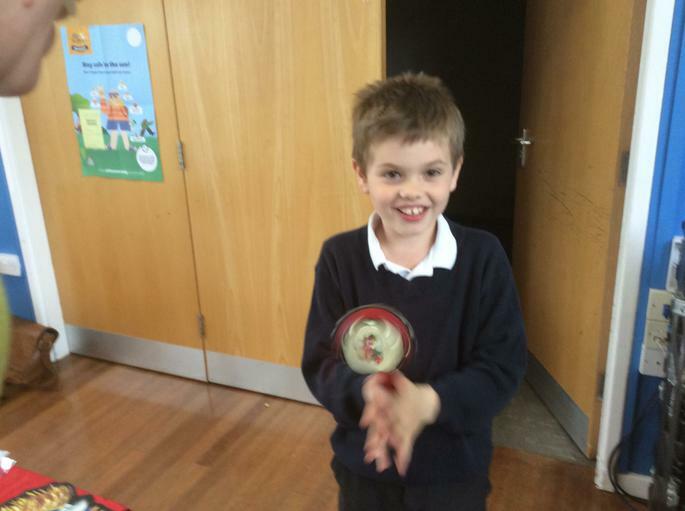 Charlie: " I also liked using the chopsticks."